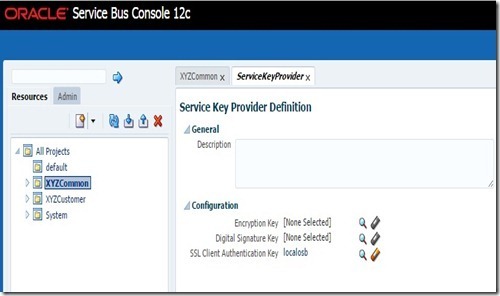 In this post, we will see how to enable two-way SSL in Service Bus 12c. The steps mentioned here have to be performed in addition to steps mentioned in the previous post. 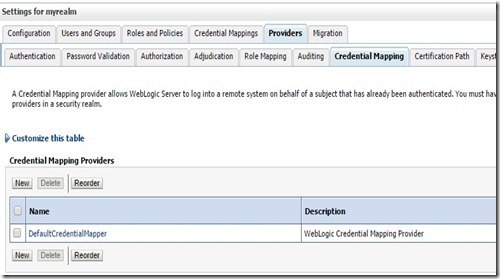 Navigate to Servers –> osb_server1 –> SSL in WLS Admin Console. 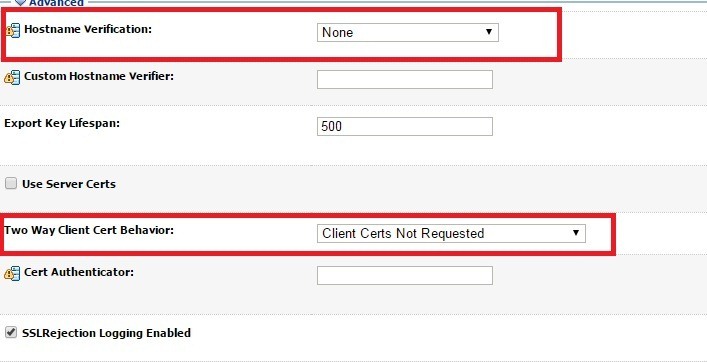 Expand Advanced section and set Two Way Client Cert Behavior as shown below. 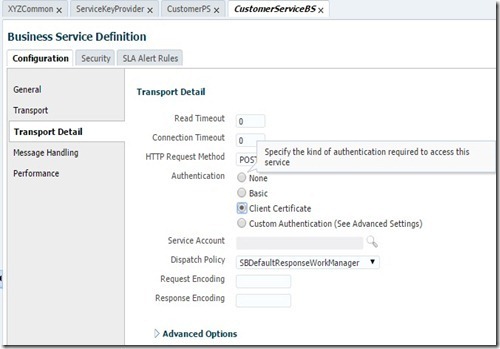 This would enforce WLS to request the Client certificate during SSL handshake and will result into an error if the client certificate is not present in trust store. 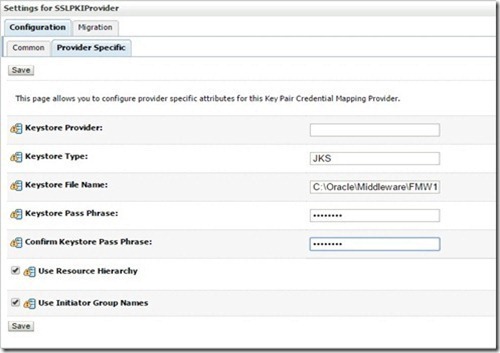 Now create a keystore clientkeystore1.jks using following command and will be used in SOAP UI. 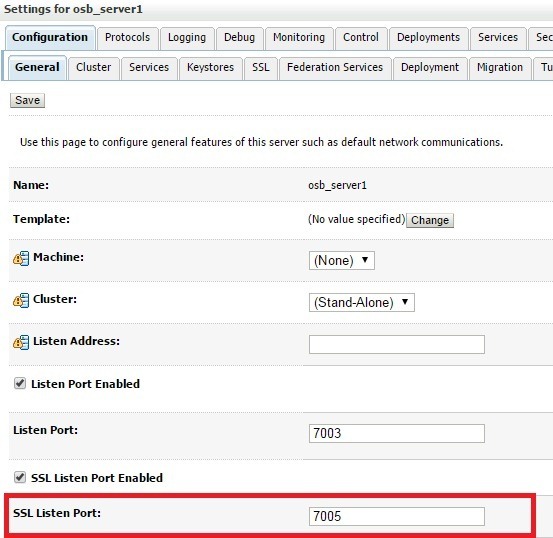 Set global SSL Settings in SOAP UI as shown below by navigating to File –> Preferences. 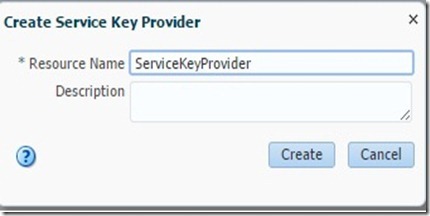 Specify the above created keystore and password. Restart OSB managed server. 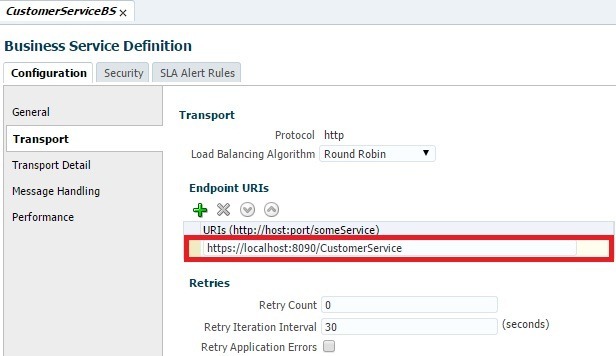 Now if you test your Proxy Service from SOAP UI, you would see an error like below in the server log as the trust store does not have the client certificate. 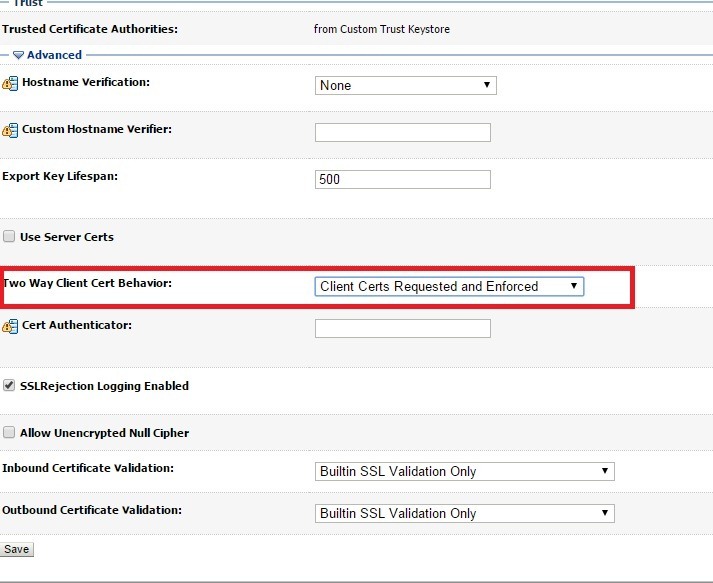 So export and import corresponding Client Certificate into the OSB trust store using following commands. 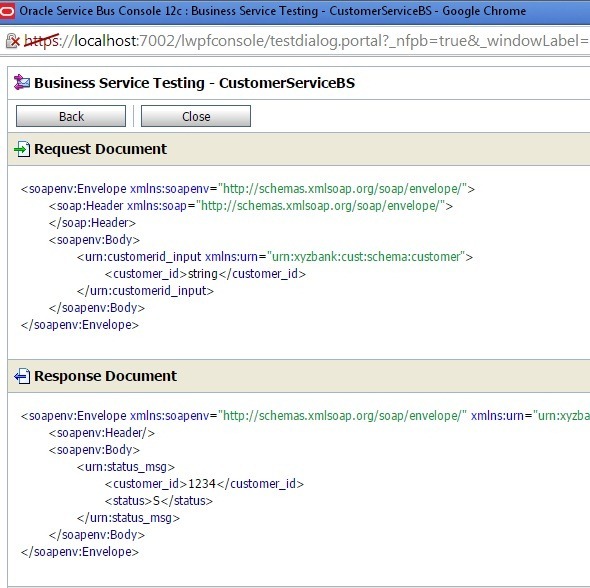 Now test your Proxy Service from SOAP UI and you would see the response as expected without any error. And now the server log will be shown like below. Using IN clause is very common requirement when working with the ADF View Objects and rows have to be filtered on multiple values of the same attribute. We can use the following code to achieve this and have tested in ADF 11g. 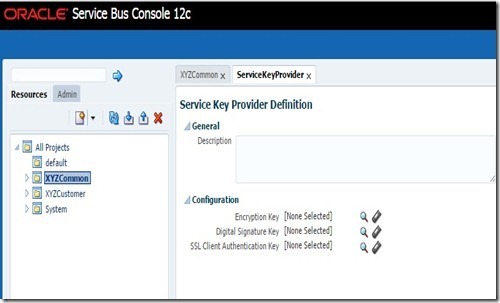 In this post, we will see how to configure Service Bus to use One way SSL. Here, we are not discussing about the SSL concepts and people who want to go through quick introduction of SSL can go through this. Generate Custom Identity and Trust stores. Please note that, JSSE (Java Secure Socket Extension) is the only supported SSL implementation. 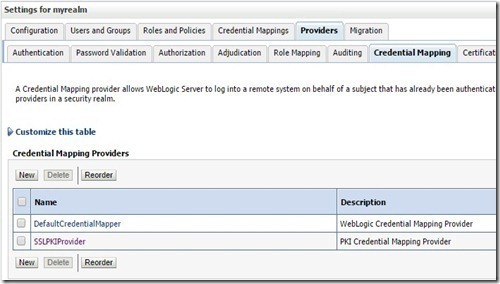 The Certicom-based SSL implementation is removed and is no longer supported in WebLogic Server. 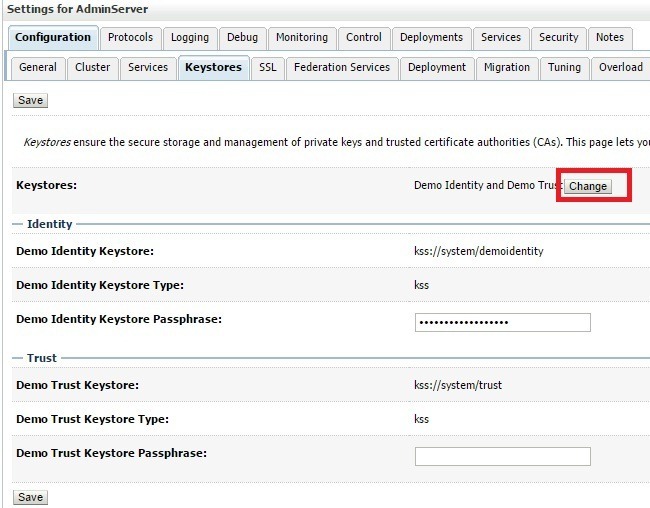 Create a folder keystores %FMW_HOME% to store all of your keystores used and issue the following command to generate a keystore for Admin server use as shown below. 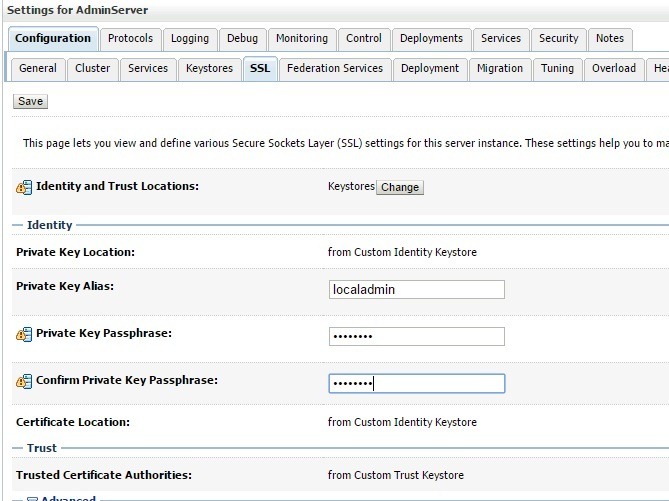 This creates keystore adminkeystore.jks having both public and the private keys with alias localadmin. 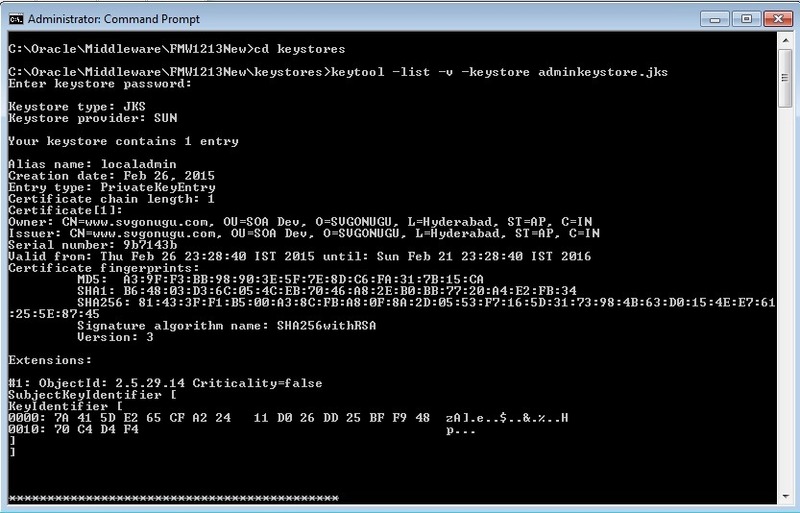 You can observe the contents of keystore using the following command. 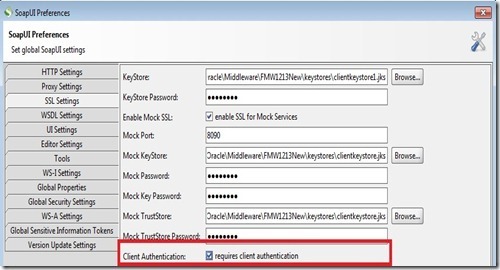 Similarly, create other keystores to use for OSB and SOA managed servers and also a keystore to use for the client as shown below. 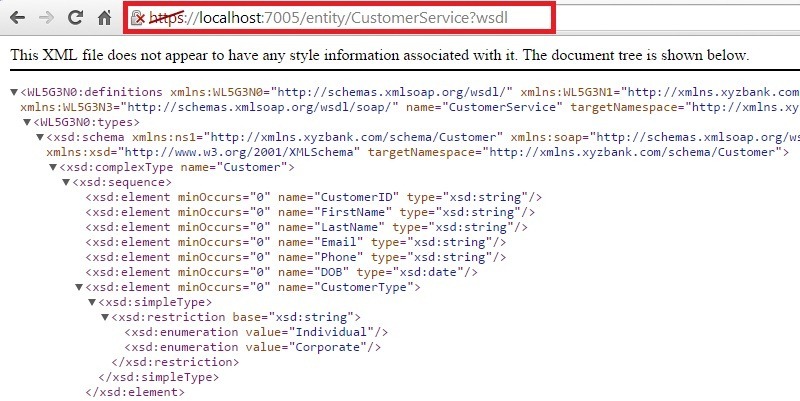 By Default, WLS uses the Demo Identity and Trust keystores and you can find them in %DOMAIN_HOME/security and %WLS_HOME%/server/lib. 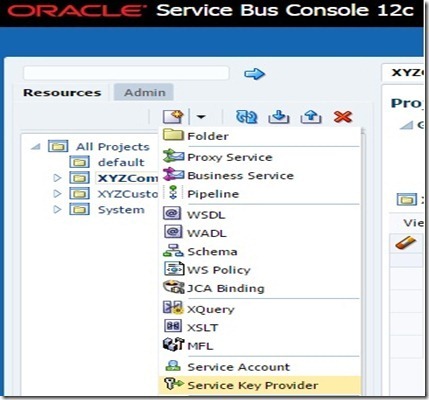 Oracle strictly recommends to use the Custom keystores at least for the Production environments. Hence we will use the custom keystores in this post. Go to Keystores tab and click Change. 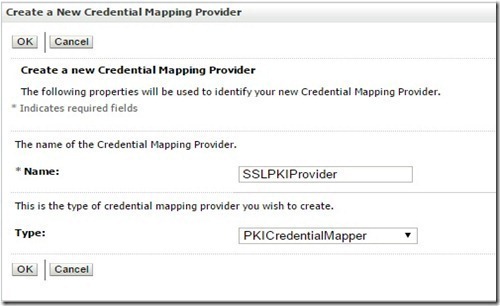 Select Custom Identity and Custom Trust as shown below and click Save. 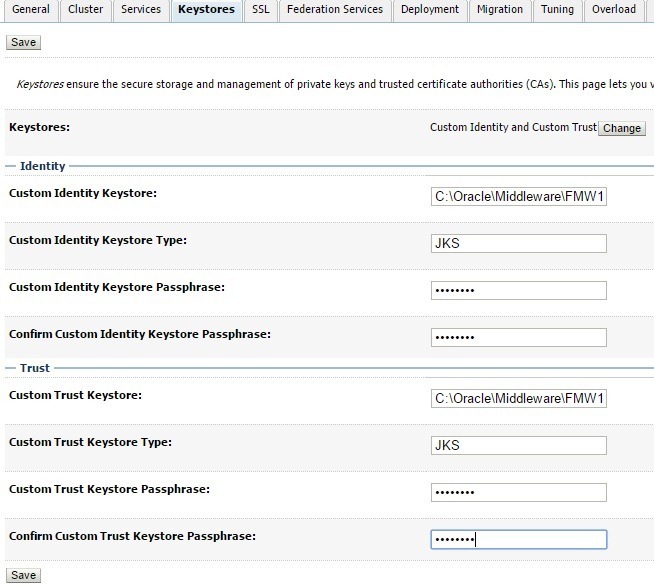 Modify Custom Identity and Trust stores as shown below and here you also need to give keystore password. Click Save. 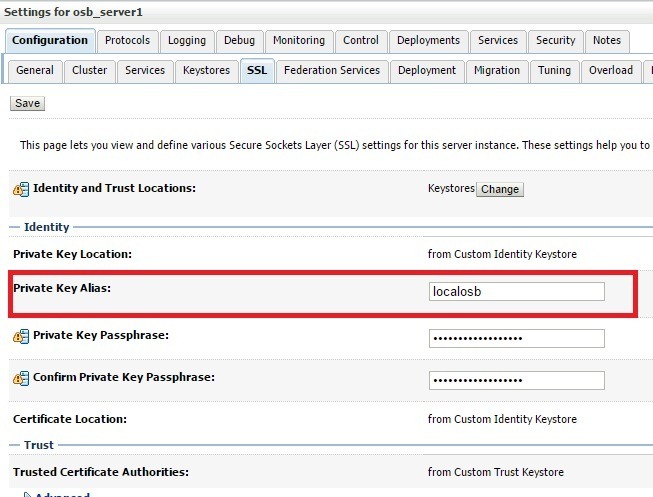 Go to SSL tab and give the Private key alias as shown below. 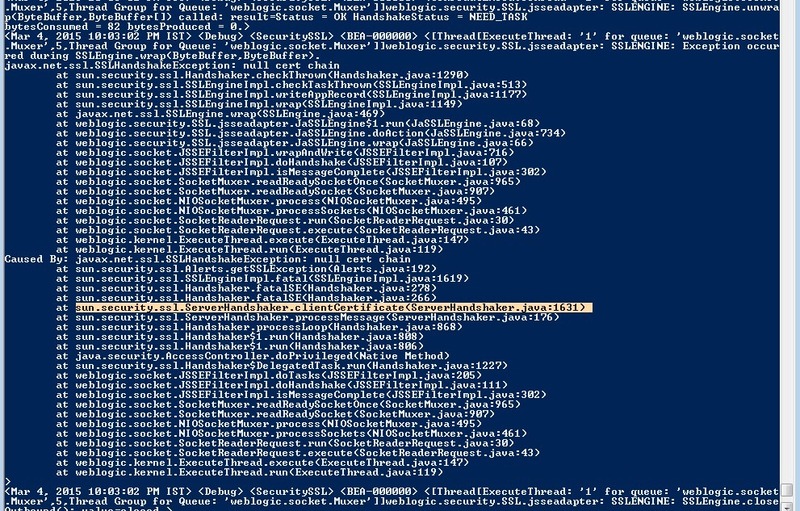 Modify EXTRA_JAVA_PROPERTIES in setDomainEnv.cmd to use following parameters and restart the admin server. 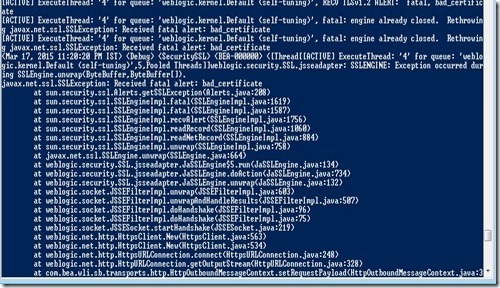 This is required as to instruct WLS server to load trusted certificates. 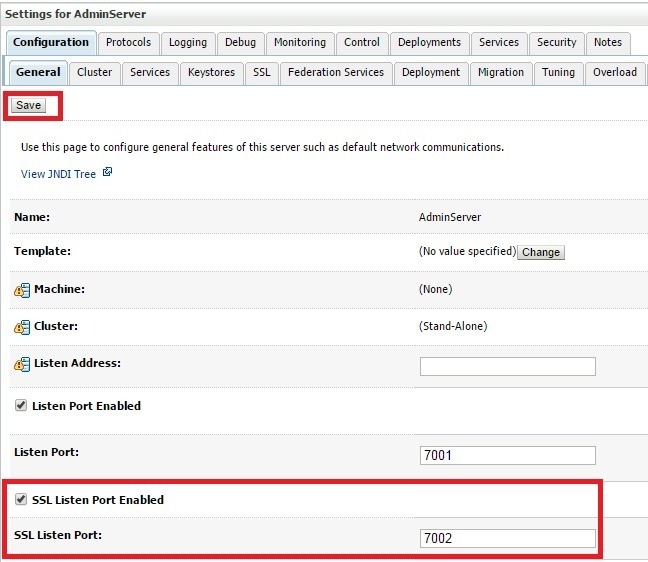 Now you should be able to access WLS admin console using following URL and this confirm the SSL is configured on your admin server. You can refer to WLS documentation here for more information on this. 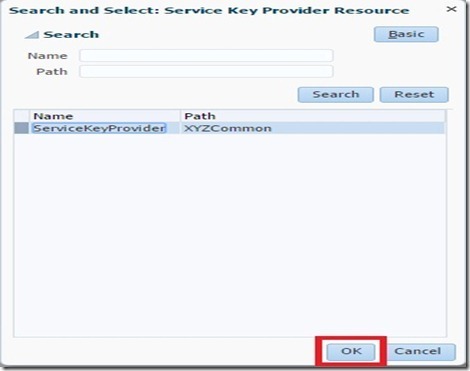 The following error is observed when we use a keystore as Trust store with zero trust certificates. alizing trust manager factory: the trustAnchors parameter must be non-empty. To debug SSL, modify EXTRA_JAVA_PROPERTIES in setDomainEnv.cmd to include the following parameters. 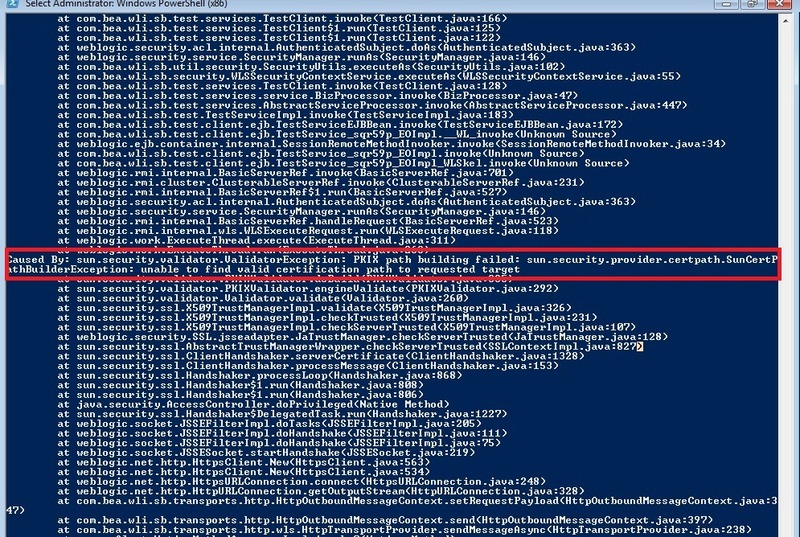 To enable javax.net debugging include the following parameter. 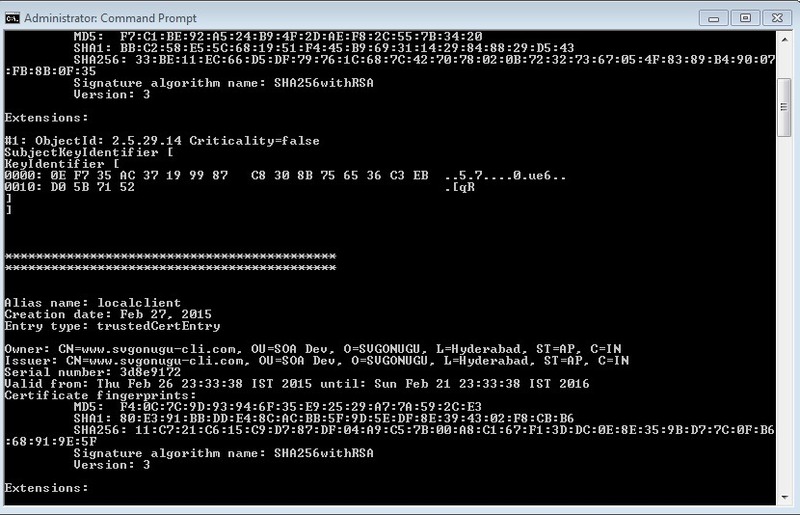 To eliminate this error, you can install any trust certificate into localadmin.jks or use cacerts keystore (available in %WLS_HOME%/server/lib) as Trust store. 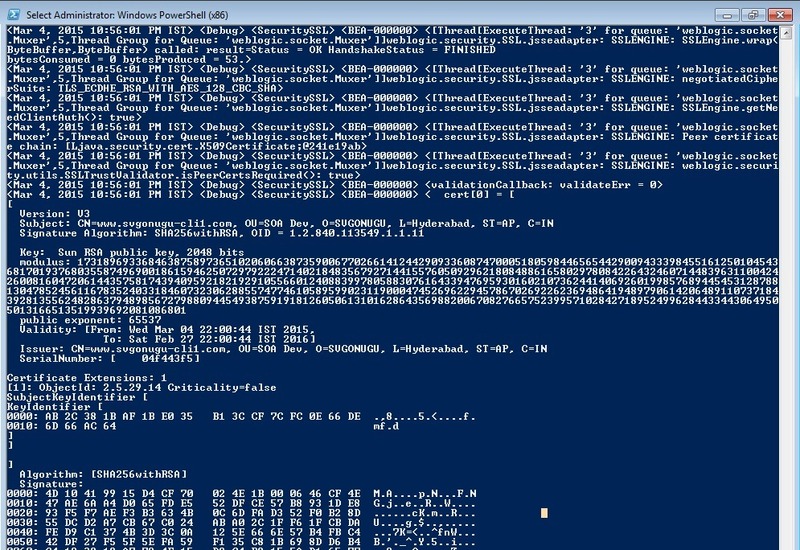 Here i have exported Public Certificate from clientkeystore.jks and got that imported into localadmin.jks. 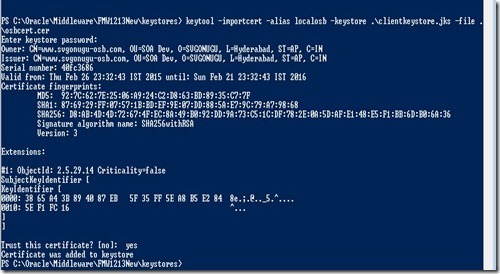 Now verify the contents of your keystore as below. 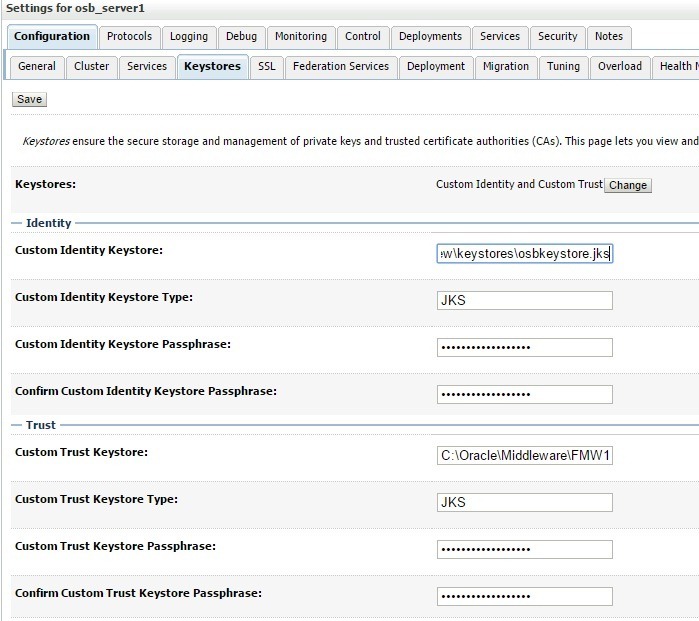 Similarly, configure OSB managed server using keystore osbkeystore.jks and use 7005 as the SSL port. Restart the OSB server after your changes. 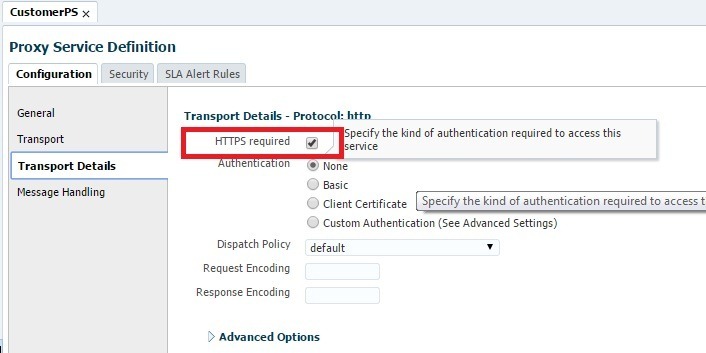 To enable your proxy services to be accessed only by SSL, you have to enable HTTPS option as below. Now if you try to access your Proxy Service WSDL from browser, it will be automatically uses SSL as shown below. Most of the people uses SOAP UI to test their webservices. 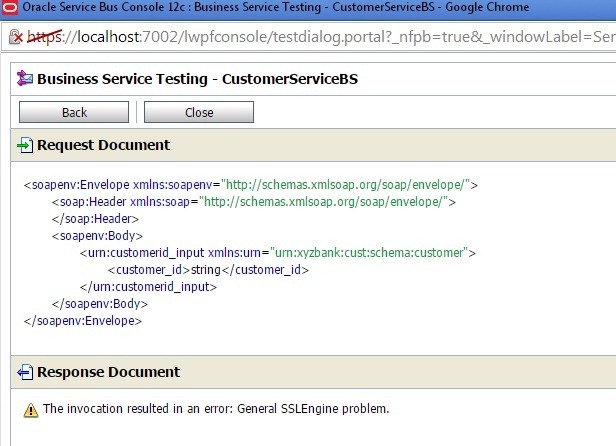 If you try to access this WSDL, you will be able to access from SOAP UI even without adding the required certificates to trust store. This is because SOAP UI trusts all by default as per this forum post. 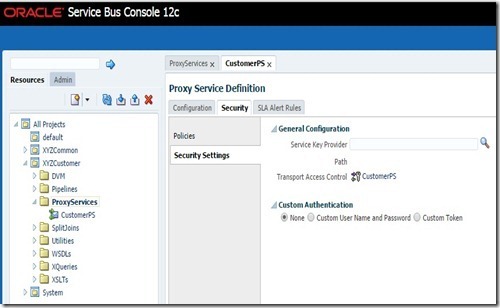 To confirm the enablement of SSL on the Proxy Service, let us try to create a Webservice Proxy in JDeveloper that prompts to accept/trust the certificate. 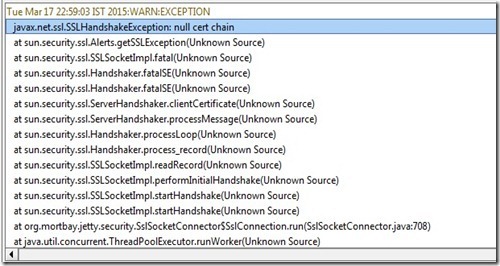 When you enable SSL debugging, you might observe the following exception in server log though your 1-way SSL works as expected. As per Oracle Support note 1606295.1, this is not a harmful exception.